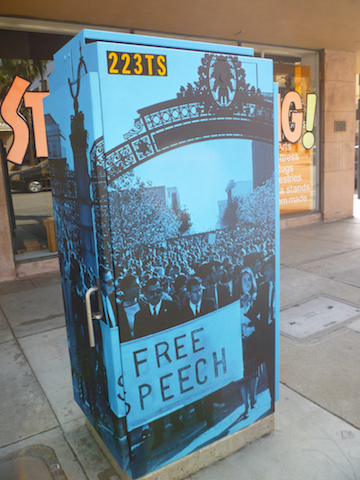 Downtown Berkeley has 60 utility boxes, with none of them a color other than gray. If the gloom offends your sunny outlook on life, then don’t worry, you can complain without actually having to do anything about it. 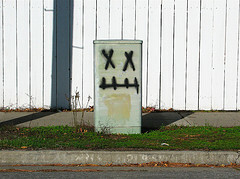 A new civic art project will convert these drab, monochromatic boxes into inspired pieces of art. The “60 Boxes Project,” clearly named in a spurt of pure creativity, matches sponsors with artists in order to decorate these boxes. Artists must submit samples from their portfolios and, as too many of life’s activities seem to require, fill out a form. Patrons will then be able to choose which artist they would like to design their box. Artists will make either a large polymer sticker or will paint the box directly. So don’t worry, these offensive gray eyesores will probably be covered with all sorts of wonderfully bright colors and elaborate patterns.